The European Commission has released its long-awaited revised Renewable Energy Directive (RED) and proposed the phase-out of food crop-based biofuels from 2021. The EC also wants to simultaneously introduce a sub-mandate for advanced biofuels. It also proposes to introduce a new sustainability criterion on forest biomass. It proposes an obligation on European transport fuel suppliers to provide an increasing share of renewable and low-carbon fuels, including advanced biofuels, renewable transport fuels of non-biological origin (e.g. hydrogen), waste-based fuels and renewable electricity. 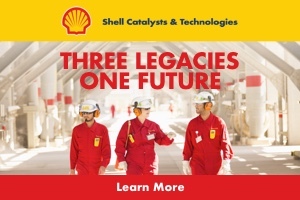 The level of this obligation will progressively increase from 1.5% in 2021 (in energy terms) to 6.8 % in 2030, including at least 3.6% of advanced biofuels. Preferential rules apply to advanced aviation fuels in order to support their deployment in the aviation sector (e.g. their energy content is accounted 20% more), the EC said in a statement. To minimise the Indirect Land-Use Change (ILUC) impacts, RED II will introduce a cap on the contribution of food-based biofuels towards the EU renewable energy target, starting at 7% in 2021 and going down progressively to 3.8% in 2030. The EC also plans to introduce national databases to ensure traceability of the fuels and mitigate the risk of fraud. RED II also proposes that by 2030 half of European electricity should be renewable. The revised directive includes general principles that Member States should follow when designing support schemes. While providing visibility and certainty to investors, support schemes must be cost-effective and market orientated. The revised RED strengthens the existing EU criteria for bioenergy sustainability and extends them to cover also biomass and biogas for heat and power, according to the EC. 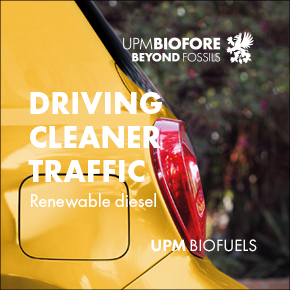 • The sustainability criteria for biofuels are improved, including by requiring that (new) advanced biofuels emit at least 70% fewer GHG emissions than fossil fuels. • A new sustainability criterion on forest biomass in introduced, in order to ensure that the production of wood fuel continues to be sustainable and that any LULUCF emissions are accounted for (in the country of biomass production). • The EU sustainability criteria are extended to cover solid biomass and biogas used in large heat and power plants (above 20 MW fuel capacity). This means, for instance, that electricity and heat from biomass have to produce at least 80% fewer GHG emission compared to fossil fuels by 2021 and 85% less by 2026. • Large-scale biomass electricity plants (above 20 MW) will need to use high efficient combined heat and power technology (reaching efficiencies above 80%). This requirement does not apply to power plants that are already in operation and receive state aid already approved by the EC. In addition, this criterion does not apply in case of risks to the security of electricity supply, which need to be duly notified to and approved by the EC.